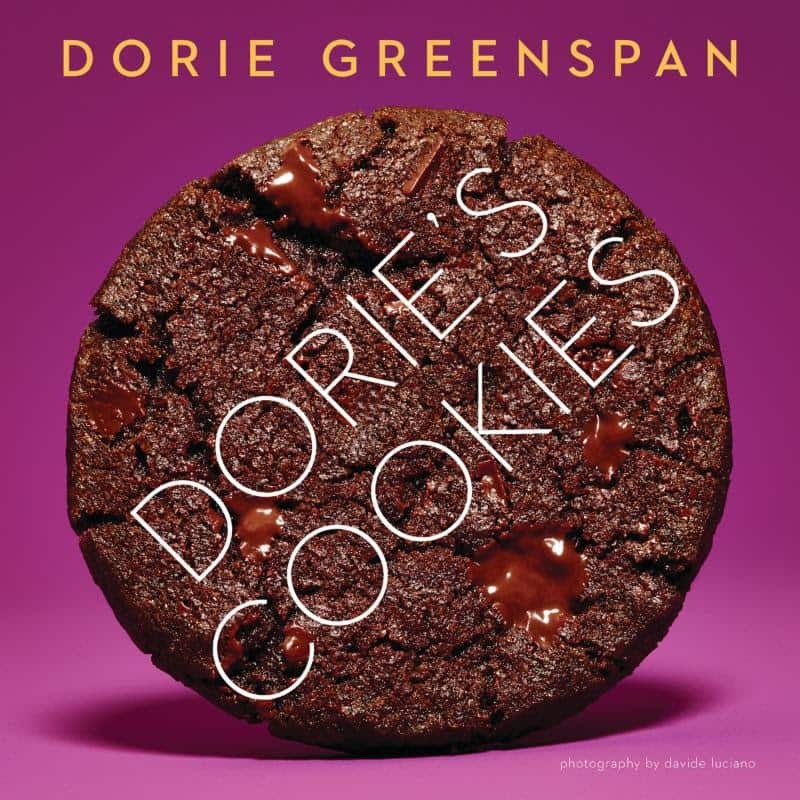 A few weeks ago I got a copy of Dorie Greenspan’s new book Dorie’s Cookies. If you haven’t heard me speak of Dorie before she is the baking guru. 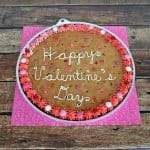 Many of my cakes, cookies, and sweet bread are based off of her recipes. My absolute favorite cake, a vanilla party cake, is from her cookbook. I’ve never made a recipe of hers that didn’t turn out well so whenever I’m in doubt and need a dessert recipe I head to her books first. So when I received the book I immediately went through it and started marking pages. I had about 20 recipes tagged and since Christmas is coming I starred the ones I thought would be great to make for the holidays. 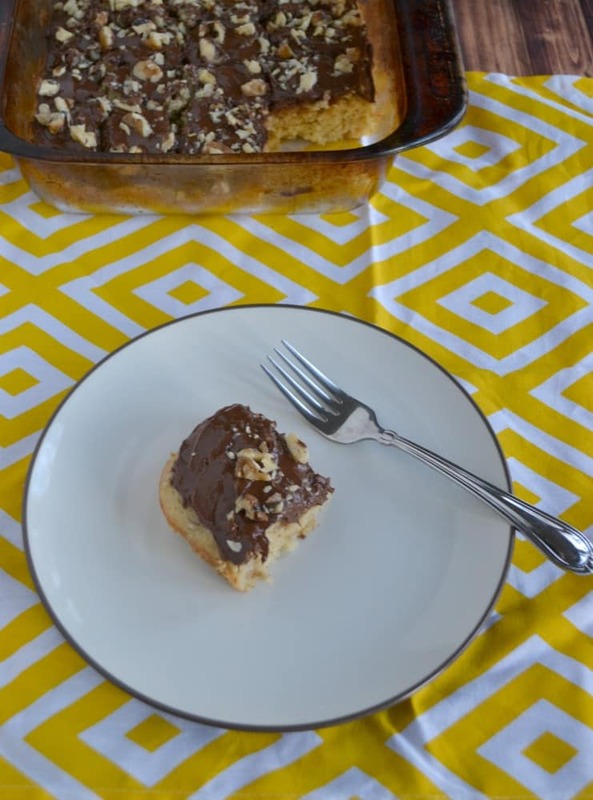 However, I had some overly ripe bananas that I needed to get rid of right away so the very first recipe I made from this cookbook were the Caramel Banana Bars. I was drooling from the name alone. 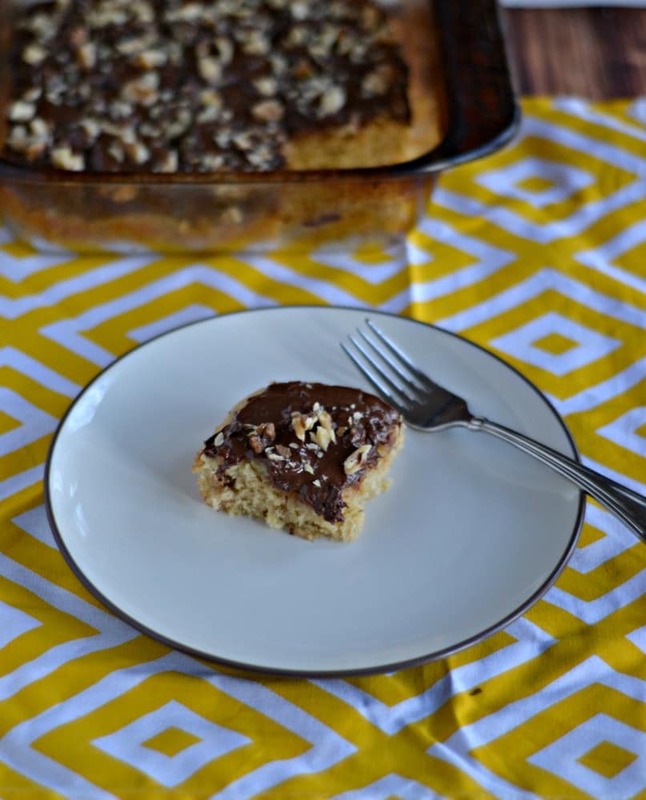 I love caramel and bananas together and then there is a chocolate glaze on top of these. 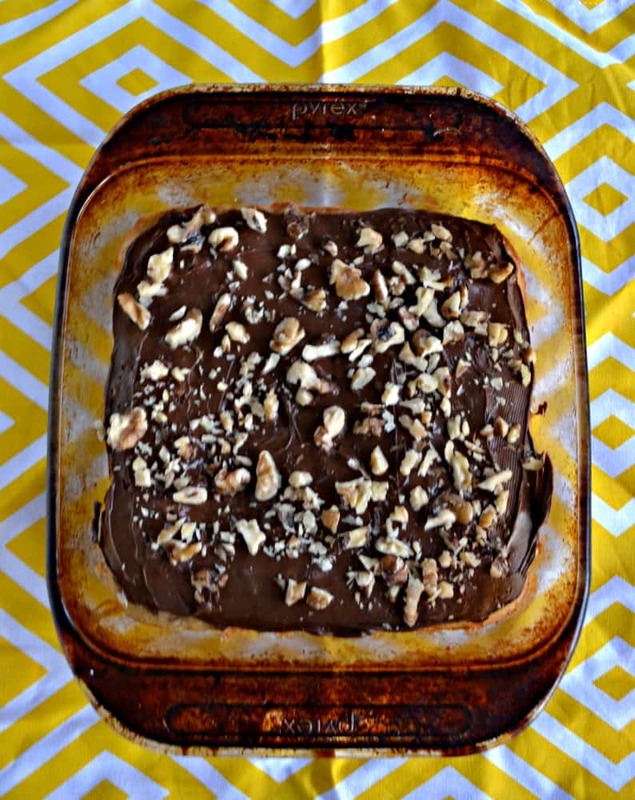 While Dorie uses salted peanuts in both the bars and on top, I am not a peanut fan so I used chopped walnuts instead. I’m sure peanuts would be good but for a holiday cookie I think walnuts are a little fancier as well. So let’s talk about these bars. 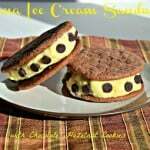 They have a base tat starts out like a traditional cookie but then add in sour cream and banana. Already I’m thinking these bars are going to be more cake like then cookie because of the additions. I was also surprised that the caramel in these bars is simply from melting the butter and brown sugar together. I baked up a batch in the oven and they smelled wonderful. It was reminiscent of banana bread but smelled sweeter. When they came out of the oven they were fluffier then cookies but more dense then a cake. 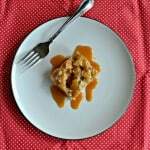 These Caramel Banana Bars fall somewhere in the middle of cake and cookie. After they cooled I topped them with the chocolate glazed and more chopped walnuts. I cut them into squares and my husband and I each enjoyed one. I like that it had a subtle banana flavor and was not overbearing. I also liked the addition of the nuts which gave the bars some texture. The chocolate on top wasn’t overwhelming as chocolate tends to be. 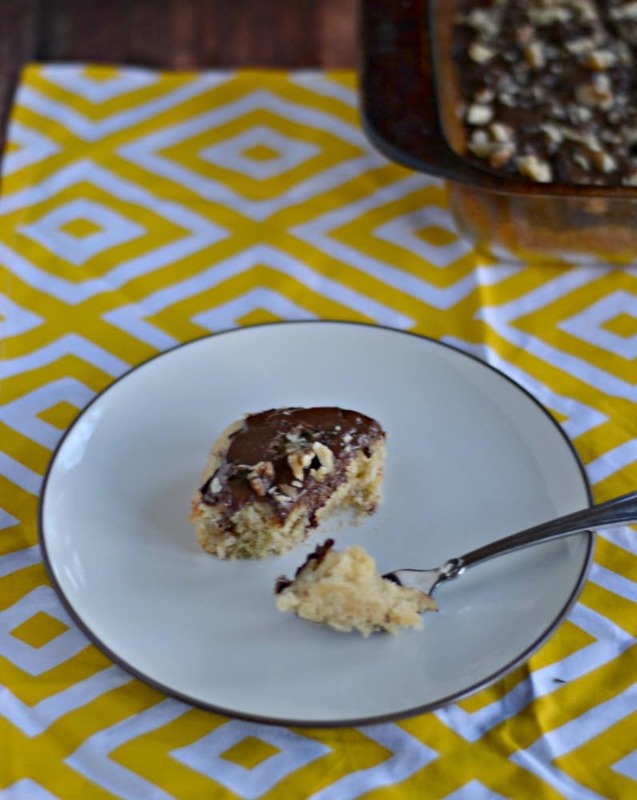 This is the perfect “not too sweet” dessert bar and it goes well with coffee. I can’t wait to bake up another batch for my holiday dessert table! 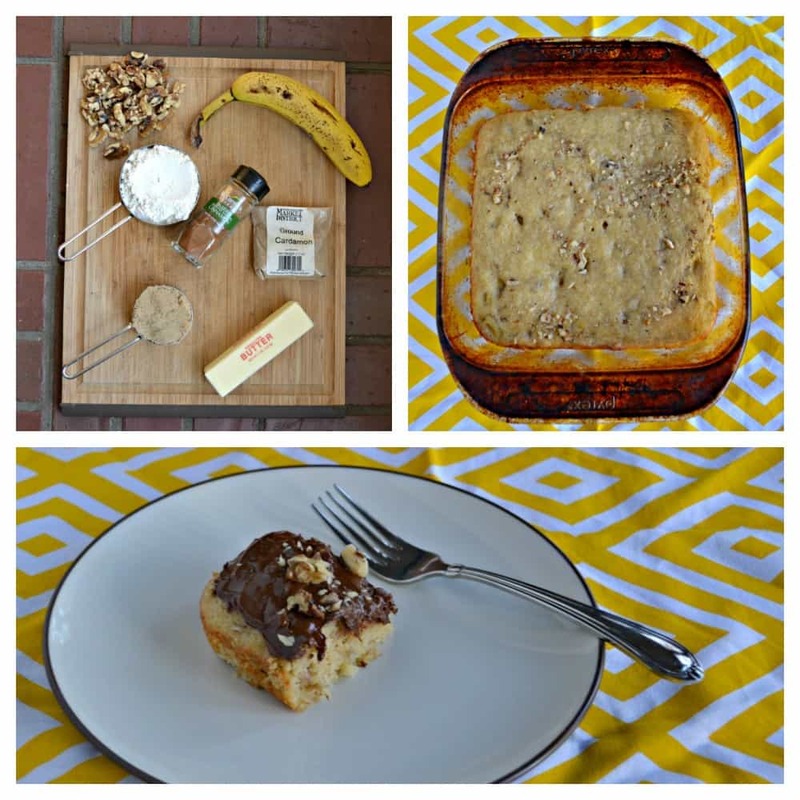 A delicious banana cookie bar studded with chopped walnuts and topped off with a chocolate glaze. Place the butter and brown sugar in a small saucepan over medium heat. Stir until the sugar and butter are completely melted. Remove from heat. 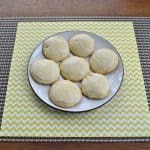 In a large bowl combine the flour, salt, baking powder, baking soda, and cardamom. In a medium bowl mash together the banana and sour cream. Add the sugar to the butter mixture and mix until combined. Add the egg and beat until incorporated. Stir in the vanilla and walnuts and mix well. Add the flour mixture to the butter mixture and mix until just combined. Pour the mixture into the prepared pan. Bake for 22-25 minutes or until a toothpick inserted into the center comes out clean. Cool completely on a wire rack. To make the topping simply place the chocolate in a microwave safe bowl and heat for 30 seconds in the microwave. Stir well. Continue heating in 15 second intervals, stirring in between each one, until the chocolate is melted and smooth. Pour the chocolate over top of the bars and smooth. Sprinkle with the chopped walnuts. Allow the chocolate 30 minutes to harden. Cut into 16 bars and serve.